Welcome to a world of hands-on exploration & discovery that sparks imagination & inspires learning. Our calendar is always full of fun and engaging events, programs, and experiences! Join us as we celebrate curiosity with Baby Einstein! Come meet our friends and discover something new! with a Summer Sampler Membership! Our Summer Sampler Membership is on sale now through April 30! Click the button below to check out this 3-month membership. United Nations of Play Member VIP Tickets On Sale Now! Member VIP Tickets on Sale! Come experience this day of cultural celebration! 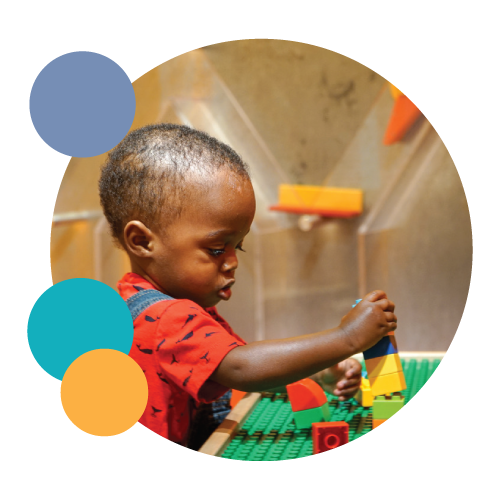 Children’s Museum of Atlanta is a nonprofit organization creating opportunities for children to learn through the power of play. The generous support of our volunteers and donors allows us to enrich the lives of hundreds of thousands of children each year through Museum programs and community outreach.